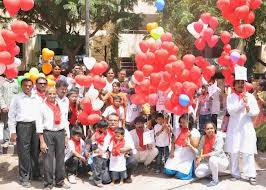 World Haemophilia Day is Celebrated on 17 April this year and every year. Since 1989, patient groups worldwide have annually celebrated World Haemophilia Day (WHD) on 17 April to raise awareness and understanding of haemophilia and other bleeding disorders. On WHD, Novo Nordisk together with patient groups around the world organise awareness-raising campaigns, media events and a variety of activities to educate people with haemophilia and the general public about bleeding disorders and emphasise the importance of proper care. Starting on WHD and through 2013 Novo Nordisk Haemophilia Foundation raises funds to support the activities of an upcoming patient association in Myanmar. With only 150 people diagnosed among potentially thousands of people with haemophilia, the need for awareness and support is pivotal. Read more on Novo Nordisk Haemophilia Foundation. We are proud to partner with the World Federation of Haemophilia (WFH) in their WHD campaign. Focus is on the global need to ‘Close the Gap’ so that more people with haemophilia get access to the treatments they need. WHD 2013 will also mark the 50th anniversary of WFH and the global community is encouraged to join together through a video-sharing project to help educate about the need to sustain and improve care with the theme ‘Our aspiration for the next 50 years’. Please find the Novo Nordisk contribution on YouTube. This is all part of our commitment to changing possibilities for people living with haemophilia so they can live the life they desire. 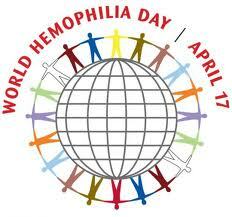 April 17 is celebrated as World Haemophilia Day across the globe by Haemophilia organizations. 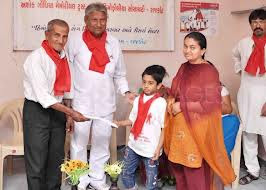 Celebration of this day is a broad step to increase awareness among the people around the world about the hereditary genetic disorder called Haemophilia. 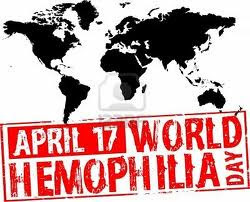 The World Federation of Haemophilia (WFH) decided to observe 17 April as World Haemophilia Day in 1989 in honor of WFH founder Frank Schnabel, as the date was his birth anniversary. 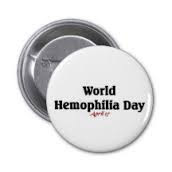 To celebrated all around the world to encourage people to improve life of Haemophilia patients and to raise awareness of the bleeding disorders.